I have been in the dollar store many times over the last few weeks and each time I go in, I am drawn to those gigantic funny looking St. Patrick’s day ties. 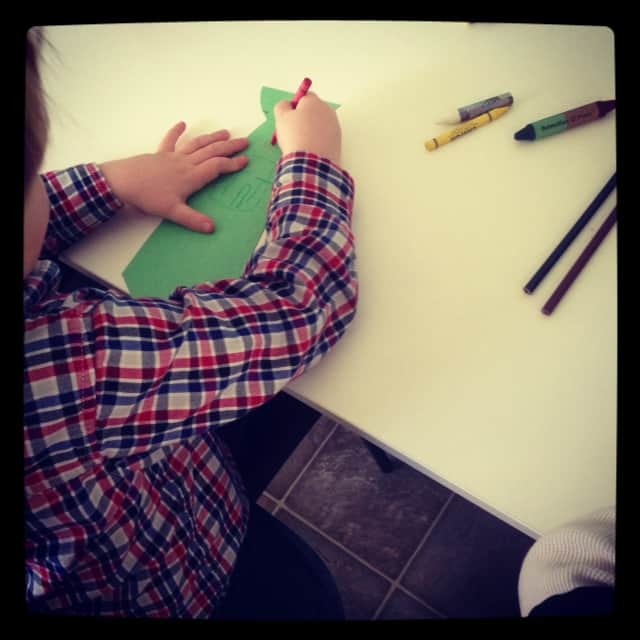 I thought it would be neat to get some for my boys, but quickly decided that it would be even MORE fun for them make them! St Patty’s day stickers, foam shapes, ect for embellishments. I tried a few times to draw a tie onto my paper, but it did NOT turn out well. So I searched online for a tie template. All I did was print it out, cut it out and then traced it onto my green paper. Once you have traced it, cut out the tie and embellish however your little heart desires. I love to use glitter paint on my projects, if you decide to use it, make sure that you let your tie dry before continuing with the next step. Next cut a piece of ribbon long enough to fit around your child’s neck. Attach one piece of the Velcro to one side with some hot glue, and the other to the other side and cut ribbon in half. I chose to use Velcro for obvious reasons, we don’t want any kiddo’s being choked by a paper tie! One you have the ribbon attached you are all done! 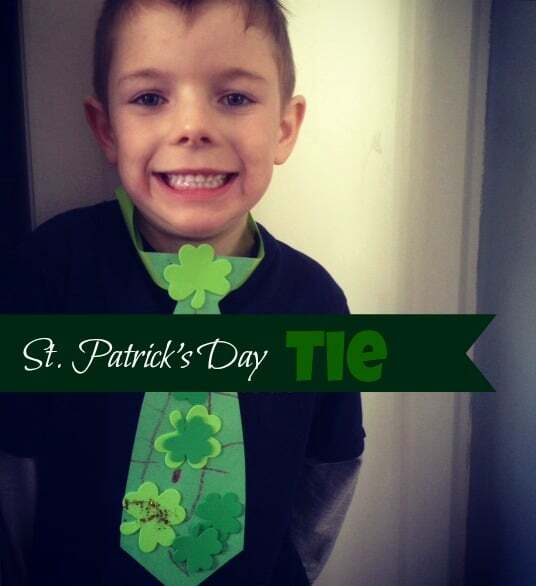 Now you have a spiffy homemade St. Patrick’s Day tie. 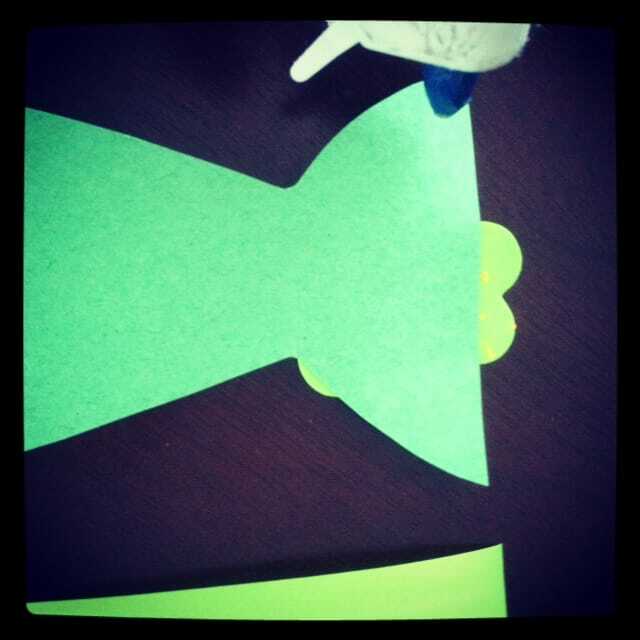 Check out my St Patrick’s Day board on Pinterest & the St Patrick’s day DIY project from last week.